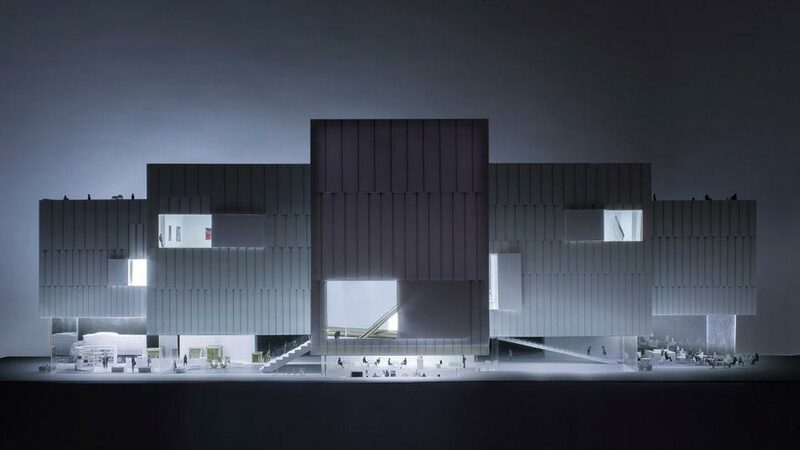 The new ‘ArtA’ cultural center in Arnhem, the Netherlands had to combine the ‘Museum Arnhem’ with the region’s ‘Focus film theater’, serving as a connecting presence between the city center and the adjacent river Rhine. 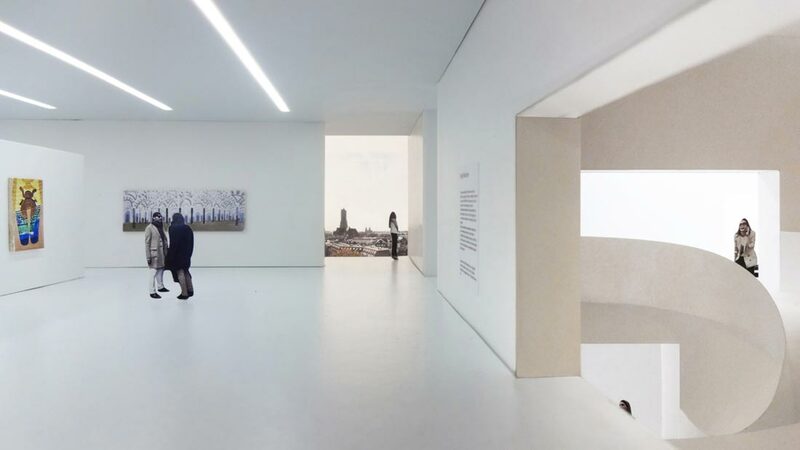 Focusing on three primary ideas – urban form, collective structure and reflective space – a distinctive public building is envisioned, capable of adapting to the future needs of the region. 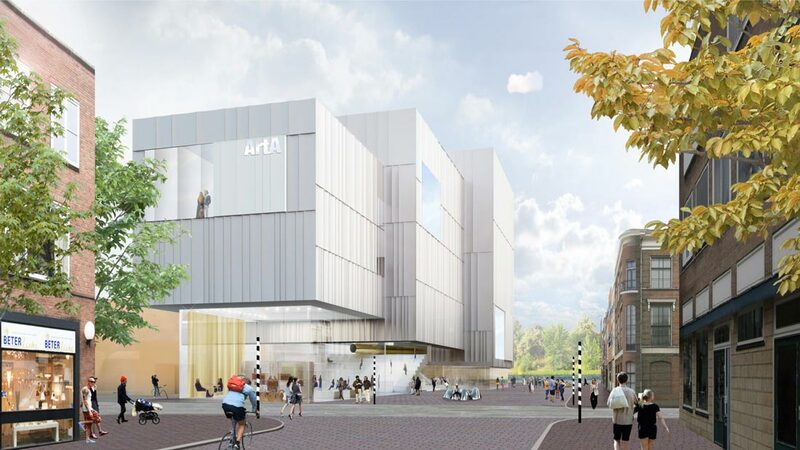 The new ‘ArtA’ cultural centre in Arnhem had the goal of combining the ‘Museum Arnhem’ with the region’s ‘Focus film theatre’, serving as a connecting presence between the city centre and the adjacent river Rhine. 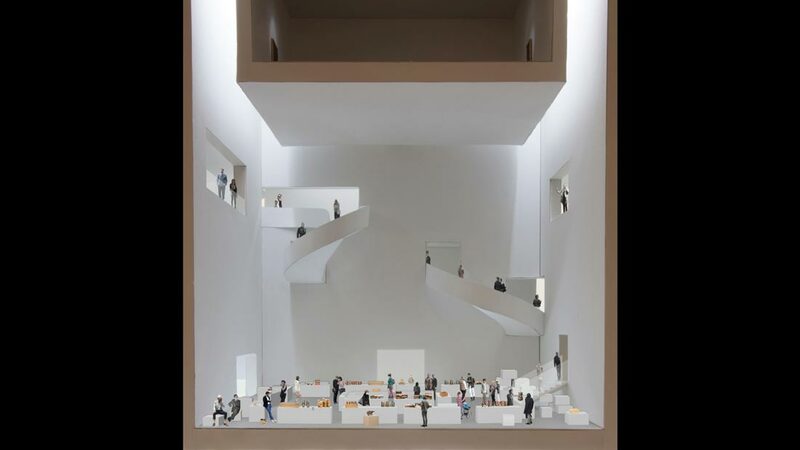 Focusing on three primary ideas – urban form, collective structure and reflective space – the concept was to design a distinctive public building, capable of adapting to the future needs of the region. 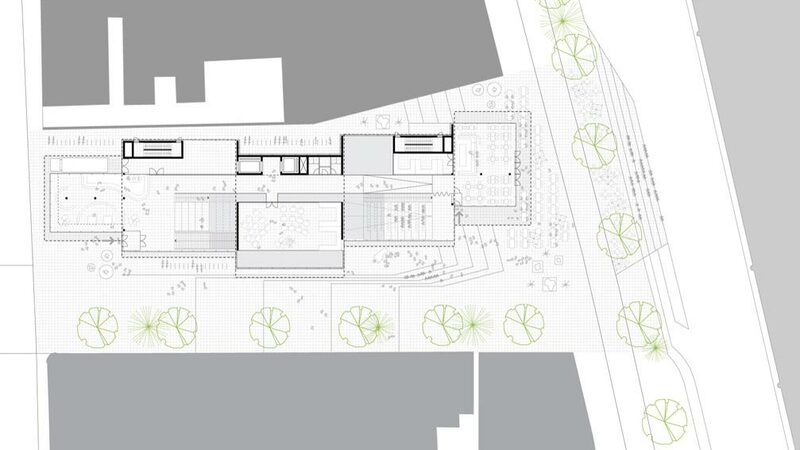 The scope of the scheme is informed by the surrounding city block, allowing ‘ArtA’ to directly interact with its immediate context. A clear organisation and strong urban form is realised through the introduction of differently proportioned units. Neighbouring streets morph into a plaza, stimulating development, while the abstract shape gives the centre a mysterious character, drawing visitors inside. As a ‘cloud’, the building rests just above street level, full of surprises for the visitor to discover. 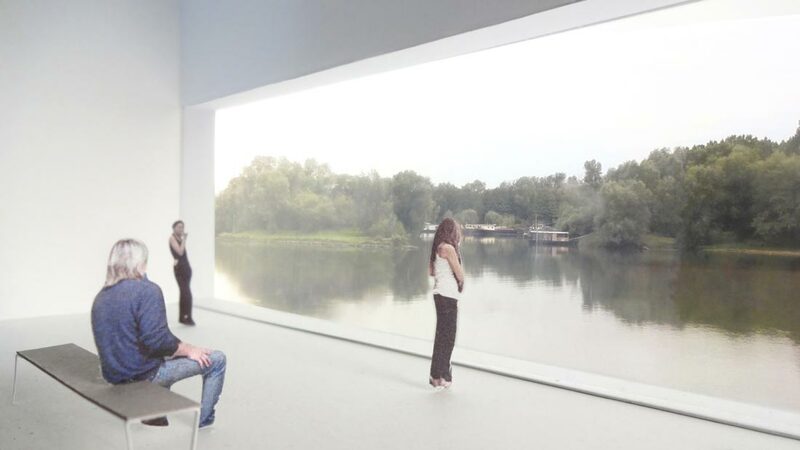 Strategic openings lead out onto the city, the Rhine and the surrounding landscape – offering a whole new perspective for Arnhem. 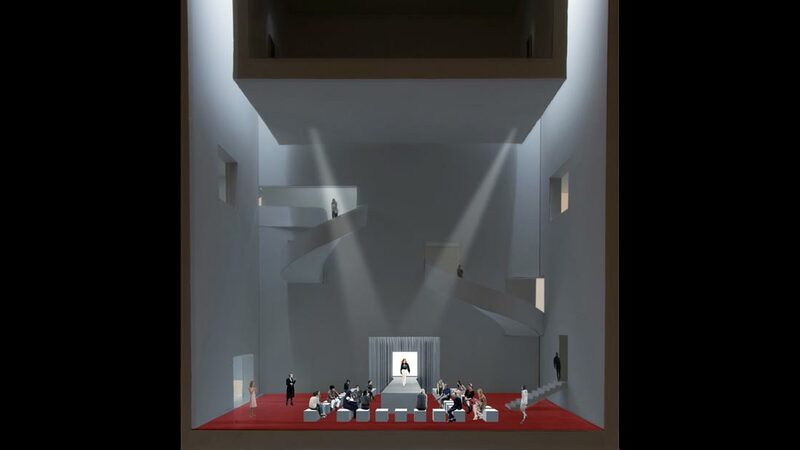 Flexibly programmed volumes support the production and experience of culture, while simultaneously establishing more intimate areas for reflection. 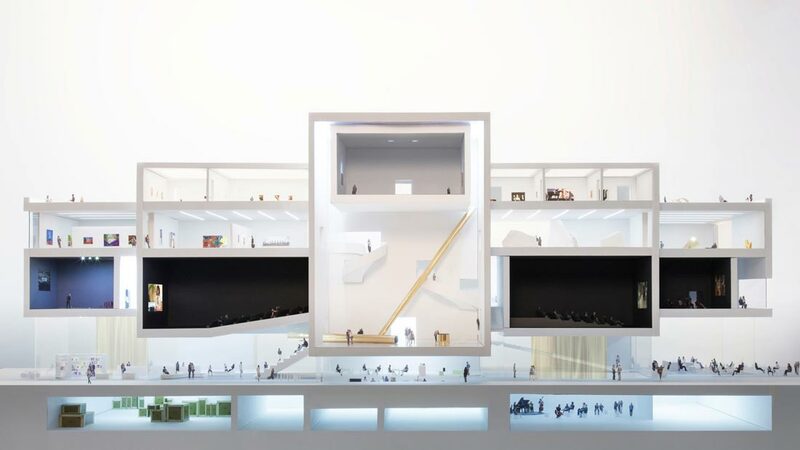 The open and flexible proposal comprises a multitude of spatial nuances with regard to daylight, height and proportion – hosting both experimental and established forms of visual art, design and cinema. 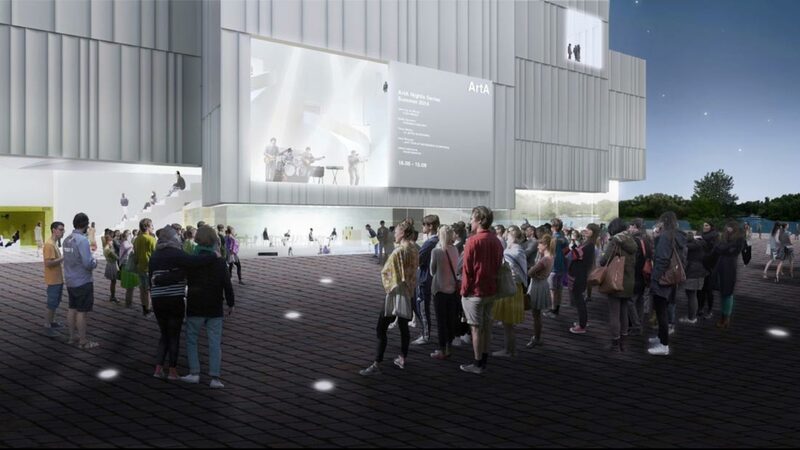 Before the announcement of the winning design (NLArchitects) the project was cancelled by the municipality itself. 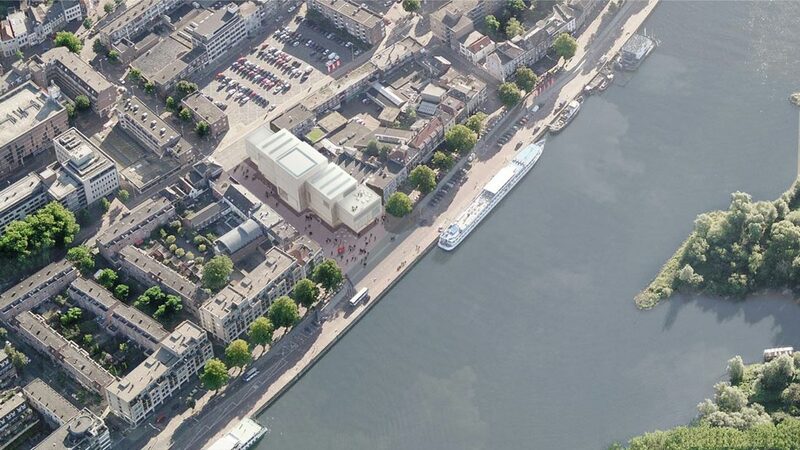 ARTA zou het ‘Museum Arnhem’ combineren met ‘Focus filmtheater’, en is in een meervoudige opdracht ontworpen als een verbindende aanwezigheid tussen het stadscentrum en de aangrenzende rivier de Rijn. Het ontwerp spitst zich toe op drie primaire ideeën: stedelijke vorm, collectieve structuur en reflecterende ruimte. Terwijl het nieuwe ArtA kunstencluster een platform voor cultuur in de wereld wil zijn, zal het ook een plek bieden om te reflecteren. Als een wolk ligt het gebouw net boven straatniveau, een meanderende trap biedt de bezoeker diverse mogelijkheden het gebouw te ontdekken en vanuit strategisch geplaatste ramen biedt ArtA een geheel nieuw perspectief op Arnhem. 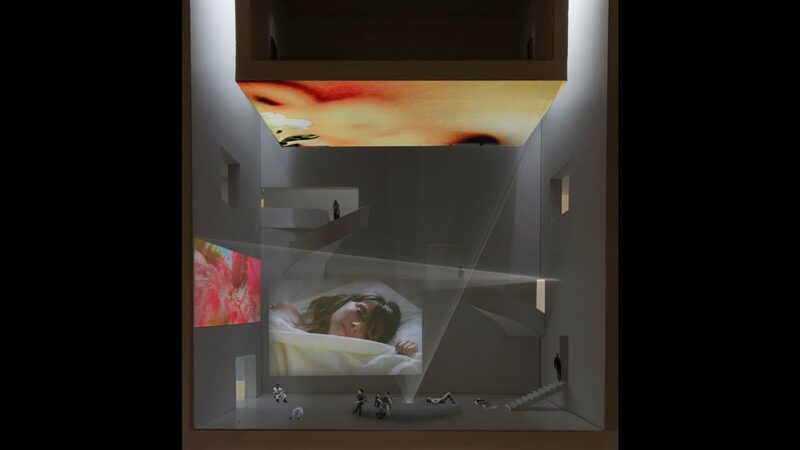 ArtA biedt huisvesting aan zowel experimentele en gevestigde vormen van beeldende kunst, vormgeving en een filmtheater. 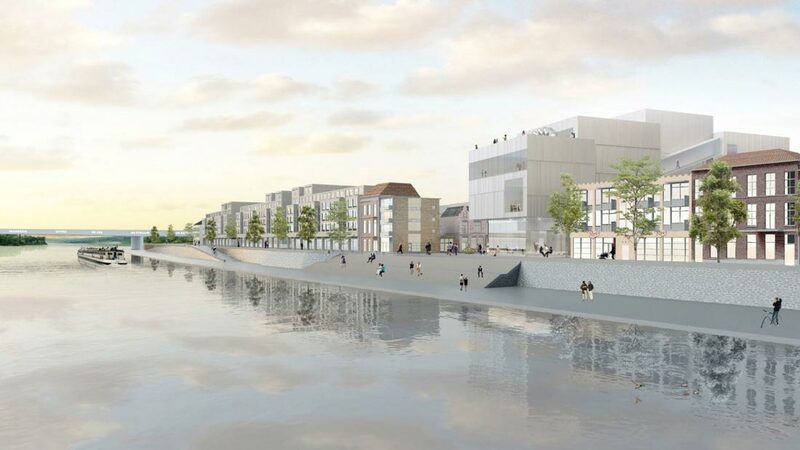 Al voor de bekendmaking van het winnende ontwerp (NLArchitects) werd het project door de gemeente zelf gestopt.